Zeynep is a recent Purdue Graduate, earning her BA in Economics in 2017. She is also a graduate of the Honors College and credits those courses as developing her critical and high-level thinking skills. She is currently serving as a City Year AmeriCorps member in their Columbus, OH office. Zeynep is providing academic, social and emotional support for students in at-risk schools. Nearly a quarter of students in Columbus dropout, which results in lasting consequences for the student and community. For the 2017-2018 school year, Zeynep was a part of just over 60 AmeriCorps members deployed into local schools with the highest at-risk students. And their impact has had real and powerful results, with over 70% of students showing improvement from October to May. Learn more our Zeynep’s impact with City Year AmeriCorps at https://www.cityyear.org/columbus/ourimpact. 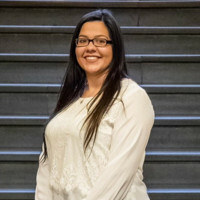 Learn more about Zeynep’s experience within City Year Columbus at https://www.cityyear.org/columbus/blog/learning-how-serve.